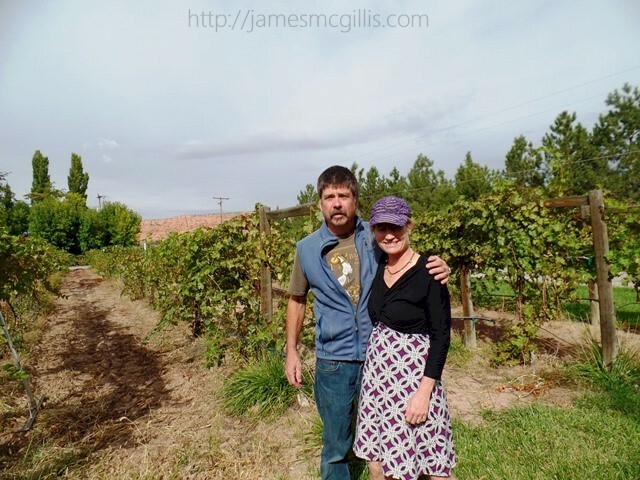 Our new webcam, located at our sister website, Moab Wine is now online. 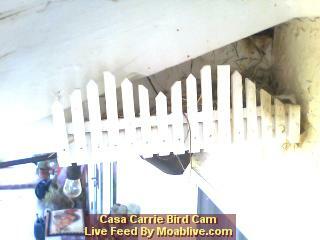 To check it out, simply click on this Webcam Link. Either link will take you directly to the Moab Live webcam. Be sure to bookmark the MoabLive webcams for easy return visits. While you are there, check out our Links Page, featuring over 90 Moab-related websites, now under development as a Moab web community. Many of our Moab website names are for sale. If you are interested in learning more about this unique web community, or purchasing your own Moab website, click Here to contact us. Included in the Links Page is MoabJim.com, our new commerce website, where you will find unique Moab Jim items for sale. Welcome to the Spanish Valley Vineyards & Winery live webcam, featuring views of the vineyard and Moab's famous Slickrock in the distance. Facing north from the winery, the webcam shows the prevailing weather as it approaches Moab, Utah. Enjoy! We hope you enjoy the only vineyard webcam in the State of Utah.